Friends of DeMolay is a monthly donation program where a little from many makes a big difference. Select your monthly giving level below to set up your Friends of DeMolay donation account using PayPal. Complete the information on the account that you wish to be debited (major credit cards and e-checks accepted). You can change your donation level or even cancel at any time. Georgia DeMolay is a 501(c)(3) non-profit organization. Your tax-exempt contribution will go toward furthering our mission to build "Tomorrow's Leaders Today." One-time contributions are also accepted. You may make a one-time contribution of any amount using the form below. 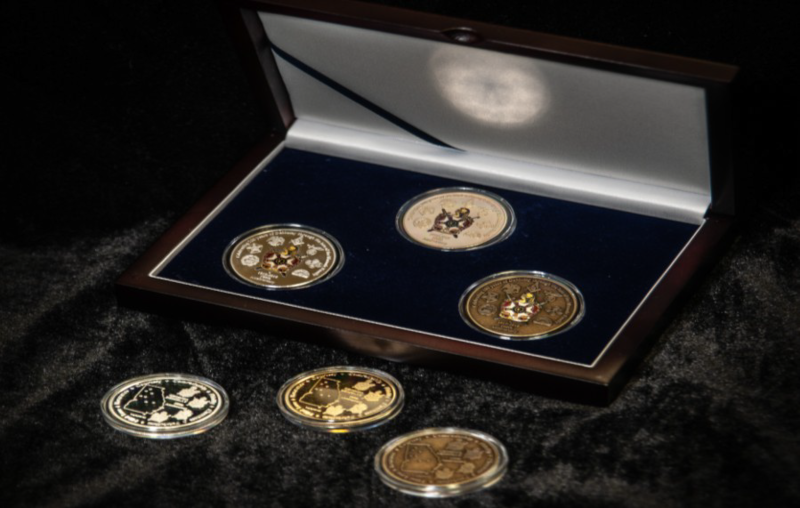 For donations of $110 or above, Georgia DeMolay is proud to offer a 3-coin set for to commemorate the centennial celebration of the founding of DeMolay. The set includes a 1-ounce 0.999 Fine Silver coin, a Brass, and a Verbronze coin. The coins are encased in a protective plastic case and includes a mahogany display box. Public Relations Idea: Issue press releases to local papers with photographs of the Chapter's activities.